On teacher’s appreciation day, Google unveiled the launch of an app called ‘classroom’ to help the teachers. Classroom, which is a free tool, will make teachers’ lives a little easier and more organized. The app which will act as an Education suite for teachers will allow teachers to create assignments, communicate with classes and provide feedback. The tool integrates Gmail, Docs and Google Drive to assist teachers in creating and collecting assignments without wasting paper. The app also allows teachers to provide direct feedback to individual students and see if they have completed an assignment on time. 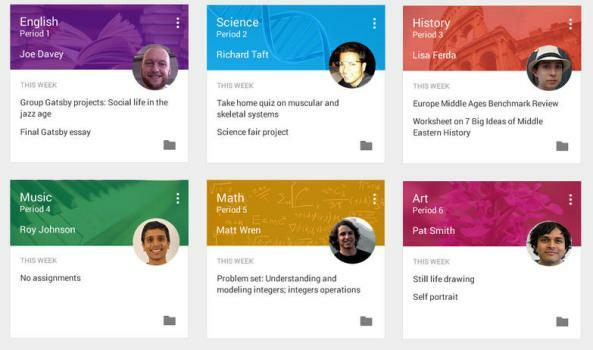 Google is also working on a dozen pilot schools and universities to test the Classroom app. The internet giant added that the Classroom tool will be available to all schools using Google apps for educators. “We spent the past year working closely with many educators to understand the systems they use to simplify their workloads, so they can get back to doing what they love –teaching,” Yeskel continued.